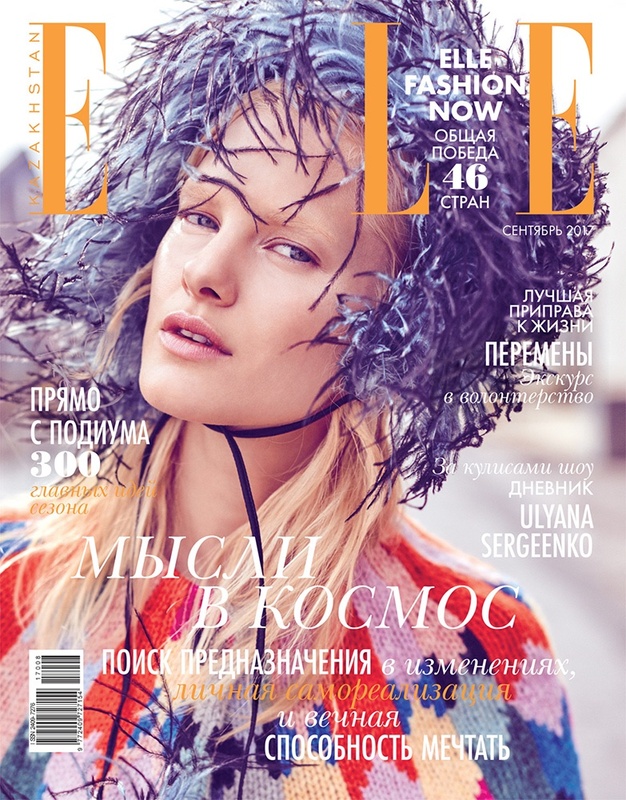 Hannah Holman gets her closeup on the September 2017 cover of ELLE Kazakhstan. Lensed by Amanda Pratt, the blonde wears a statement headpiece and colorful cardigan sweater. For the editorial, Hannah poses in colorful looks from the fall collections. Styled by Connie Berg, the American beauty covers up in designs from Miu Miu, Louis Vuitton and more. For beauty, hairstylist John Ruidant (See Management) works on her tousled waves with Colleen Runne on makeup.